Quail Hill is a community in the south part of Irvine, Orange County, California. 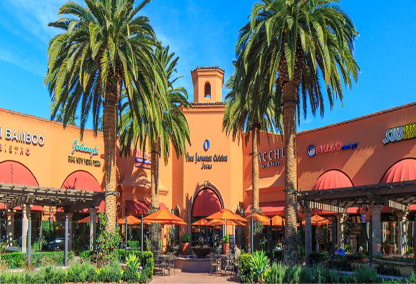 It is one of the seven communities that belong to the University area of the City of Irvine. There are many streets such as balcony, and luminous. The name of the neighborhood came from characteristic rock formation that adjoins 600 acres (2.4 km2) of permanent open space. Located next to the 405 freeway, Quail Hill is close to major employment, entertainment and dining areas of the city. At the foot of Quail Hill there is the Quail Hill Loop Trail that provides public access to a natural surface trail.